Keep things going the next day: take in the waterfront at Malecon and then explore the activities along Sun Bay. To see ratings, more things to do, reviews, and more tourist information, read our Isla de Vieques road trip planning app . Norfolk, USA to Isla de Vieques is an approximately 7.5-hour flight. You can also do a combination of flight, shuttle, and ferry. Traveling from Norfolk to Isla de Vieques, you'll lose 1 hour due to the time zone difference. Traveling from Norfolk in February, things will get much warmer in Isla de Vieques: highs are around 83°F and lows about 73°F. 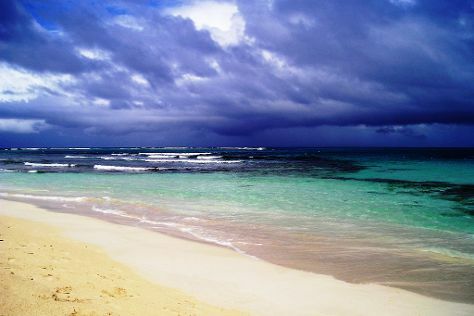 Wrap up your sightseeing on the 12th (Tue) to allow time to travel to Culebra. Start off your visit on the 13th (Wed): browse the collection at Culebra Public Library and then enjoy the sand and surf at Flamenco Beach. Get ready for a full day of sightseeing on the 14th (Thu): enjoy the sand and surf at Zoni Beach, look for all kinds of wild species at Culebra National Wildlife Refuge, and then stroll through Playa Punta Soldado Beach. To see traveler tips, where to stay, more things to do, and tourist information, use the Culebra trip maker tool . Traveling by combination of car and flight from Isla de Vieques to Culebra takes 2.5 hours. Alternatively, you can ride a ferry. February in Culebra sees daily highs of 84°F and lows of 73°F at night. Finish up your sightseeing early on the 14th (Thu) so you can catch the flight to San Juan. Kids will enjoy El Yunque Rain Forest and Luquillo Beach. There's lots more to do: get to know the fascinating history of Old San Juan, get engrossed in the history at Cathedral of San Juan Bautista, steep yourself in history at San Juan National Historic Site, and stop by El Galpon. To see photos, reviews, ratings, and tourist information, you can read our San Juan visit planner . San Juan is just a short distance from Culebra. In February, daytime highs in San Juan are 84°F, while nighttime lows are 73°F. Finish your sightseeing early on the 17th (Sun) so you can travel back home.